Video: SkyView firmware version 2.0: Sun 'n Fun 2010 sneak peek! 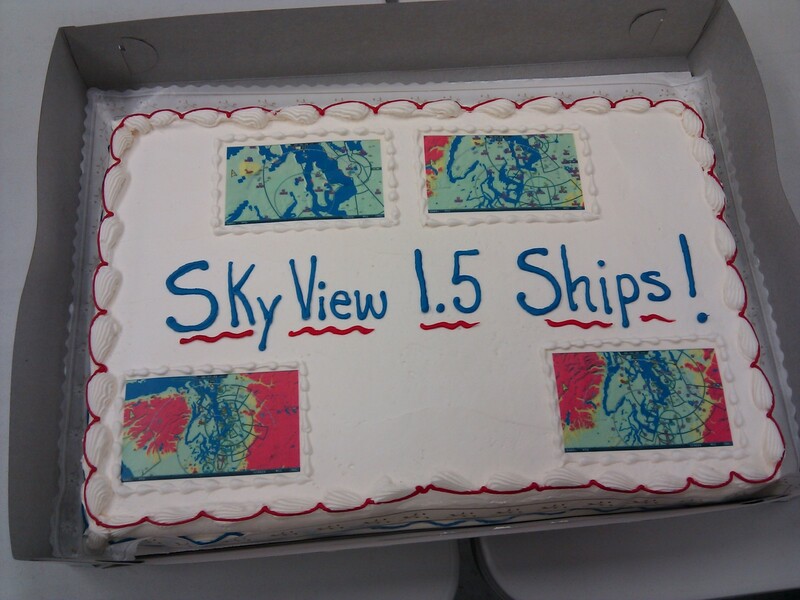 Not making it to Sun 'n Fun this week to see the SkyView 2.0 demo in-person? Watch a sneak peek of the features that are coming up in firmware version 2.0, scheduled for release in the coming weeks. 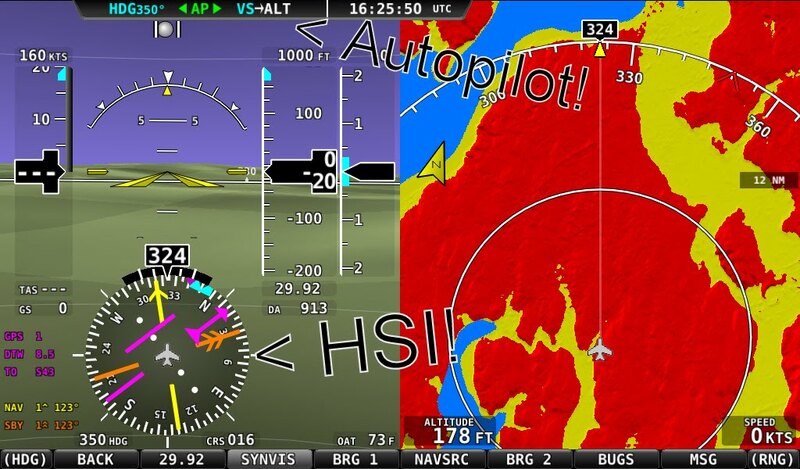 This video showcases the menu features in 2.0, including more robust screen/module failure handling, HSI, autopilot, and obstacles overlaid on the free (US only) aviation data overlay. Though we just released the SkyView 1.5 release at the end of March, we are already putting the finishing touches on the upcoming SkyView 2.0 update! Version 2.0 is an exciting update since it adds some really big features. First, Autopilot! Like the D10/D100 series autopilot, it can fly magnetic heading, GPS ground track, and horizontal NAV from any connected compatible radio or GPS. In addition to being able to hold altitude, it can also fly to a new altitude and level off once it arrives. Rounding out the feature set is emergency 180-degree turn capability, control wheel steering, and standard trim sensing and annunciation on all servos used on the pitch axis. Additionally, as SkyView has an integrated vertical speed bug, its autopilot will fly altitude changes at any vertical speed you choose, and it can be changed on-the-fly. For those keeping track of the autopilot control scheme improvements introduced in D10/D100 firmware 5.3, it has those rolled into it as well! More advanced features like VNAV/glide slope following will be developed at a future date. 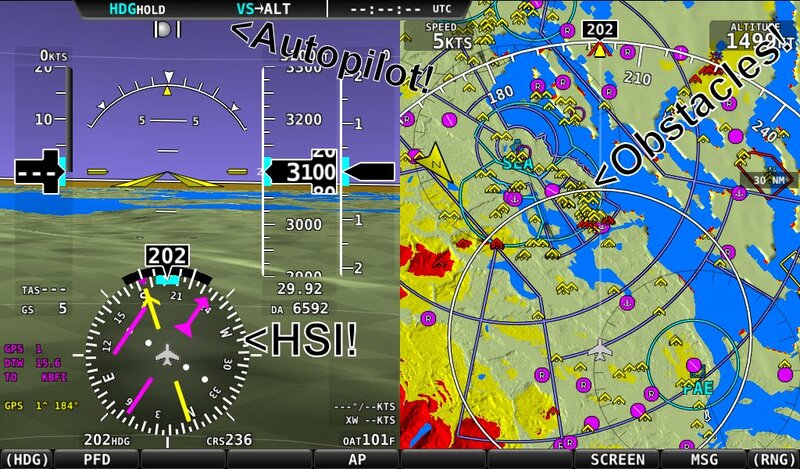 Next, Version 2.0 introduces HSI on SkyView. Just like the D10/D100 series, it can display CDI, course, bearings, glide slope, and various textual informational items like station/waypoint ID and distance to waypoint when connected to a compatible GPS or NAV radio source. At the moment, this includes NMEA and Aviation format GPS inputs (almost all portables, and many panel mounted GPSs), as well as the SL30 NAV radio. ARINC-429 compatibility will be coming soon with the introduction of an ARINC-429 converter module. Of course, any device that generates valid HSI data can be flown by the Autopilot. Finally, obstacles have been added to the map page. They'll pop up as yellow tower icons when your altitude gets within 1000 feet of an object's highest point, and then red when you get to within 100 feet of the object's altitude. Behind the scenes, SkyView's failure handling capabilities have been improved to the point that basically, no screen or module failure will adversely affect the rest of the remaining working modules/screens in the system. There is no longer any concept of a "master" screen in the system, settings don't need to be transferred among screen; it's just a single, integrated system. Everything talks to each other in a seamless way, and all you need to worry about is equipping your aircraft with the redundant screens and modules that your mission requires (for example, 2 screens, 2 ADAHRS, and 1 EMS for a redundant IFR-equipped panel), and SkyView worries about keeping everything in sync and making sure everything can still function as best it can should a component fail in some way. If you'll be at Sun 'n Fun, please stop by our newly expanded triple-wide booth to see a demo of all of these features in action! We can be found in Hangar A in booths A-034, A-035, and A-036. We currently are shooting for the end of April for this release. As always, the exact date will be driven by when the firmware hits the quality standards we require. You can also visit the SkyView Roadmap page for information on where SkyView development is heading in the future! Now that we have our first update - firmware version 1.5 - live for you to download, we thought you might like to see just how easy it is to update a SkyView! Since this video shows computer screen and SkyView text, you may want to see it in its full HD version to see all of the details. To watch it in HD, simply click the video to view it directly on YouTube, or click the full-screen button, and then change 360p to either 720p or 1080p. ...completely pixel-accurate edible SkyView screens! (they were delicious). Here's a close-up. 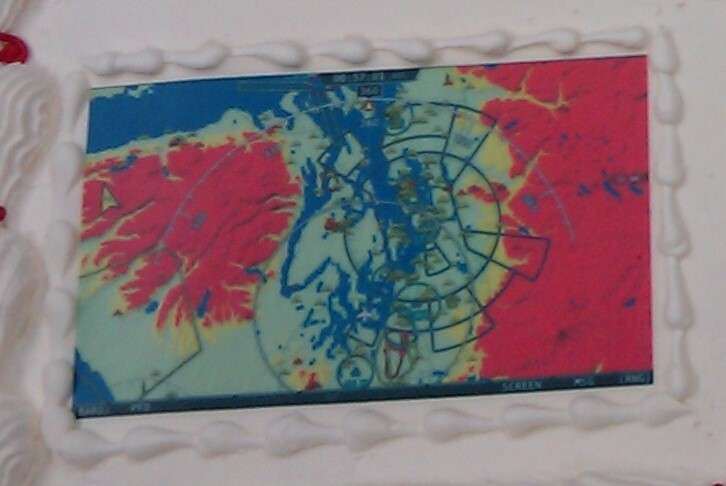 Yep, that's the Seattle-area class Bravo airspace!